On this episode of The GAP Luke Lawrie and Joab Gilroy talk about people not being capable of leaving their phone alone while watching a movie at the cinema. 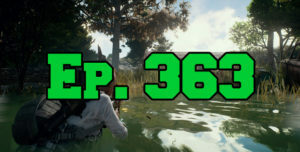 They also discuss the games they’ve been playing which includes PlayerUnknown’s Battlegrounds, Mass Effect: Andromeda, Dark Souls III, Rain World, and more. Over in the news Outlast 2 has now been given a R18+ classification in Australia, the League of Legends Tainted Minds drama continues, Destiny 2 is announced, the next Call of Duty will be set in World War II, and Joaby’s new show called Versus Mode kicks off. This episode goes for 2 hours and 20 minutes, it also contains coarse language.